What is homeowners insurance ? The beginner’s guide to homeowners insurance. How much is homeowners insurance ? Homeowners insurance rates by state. Do your eyes glaze over just reading the words ? It may not be the most thrilling subject, but it’s essential for new homebuyers to understand the nuts and bolts of their homeowner insurance. Virtually all mortgage lenders require insurance coverage to protect their investment. If the house you live in is destroyed, the real owners, and in most cases, that’s the bank, would suffer a huge monetary loss. You don’t even have to “own” your home to need homeowners insurance coverage, many landlords require their tenants to have coverage. But whether it’s required or not, it’s smart to have this kind of protection anyway. We’ll take it step by step as we walk you through the basics of this type of policy. 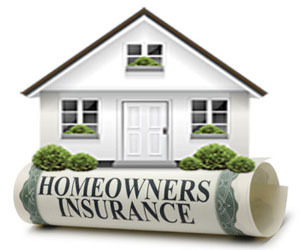 What a homeowners insurance policy provides ? In the event of damage due to fire, hurricanes, lightning, vandalism or other covered disasters, your insurer will compensate you so that your house can be repaired or even completely rebuilt. Damage that is the result of floods, earthquakes and poor home maintenance is generally not covered and you may require separate riders if want that type of protection. Clothing, furniture, appliances and most of the other contents of your home are covered if they’re destroyed in an insured disaster. You can even get “off premises” coverage, so you could file a claim for lost jewelry, for example, no matter where in the world you lost it. There may be a limit on the amount your insurer will reimburse you. Even if your Rolex or mink coat is damaged at home, there will be a limit on the coverage for that, too, unless you purchase a separate “floater” policy that insures the item for its full appraised value. According to the Insurance information institute, most insurance companies will provide coverage for 50 to 70% of the amount of insurance you have on the structure of your home. If your house is insured for $200,000, there would be up to about $140,000 worth of coverage for your possessions, would this be enough for you ? In order to answer this question, you would need to have a list of all your possessions and their value, also called a “home inventory”. This clause even includes your pets ! So, if frisky Fido bites your neighbor Doris, no matter where the bite happens to occur, your insurer will pay her medical bills. Or, if Junior breaks her oriental vase, you can file a claim to reimburse her. And if Doris slips on the broken vase pieces and successfully sues for pain and suffering or lost wages ? You’ll be covered for that, too, just as if someone had been injured on the premises of your home or property. While policies start in the range of $100,000 coverage, experts recommend having at least $300,000 worth of coverage according to the Insurance information institute. For extra protection, a few hundred dollars more in premium may buy you an extra $1 million or more through “umbrella coverage”. It’s unlikely you’ll ever need this protection, but if you do find yourself in this situation, it will undoubtedly be the best coverage you ever purchased. If your house has been completely destroyed or is so damaged that it’s uninhabitable, you may need to rent another house or live in a hotel until it’s repaired or rebuilt. This portion of homeowners coverage would reimburse you for the cost of rent, hotel, restaurant meals and other incidental costs because you were unable to live in your house. Before you book a suite at the Ritz Carlton and order caviar from room service, however, keep in mind that policies impose strict daily and total limits, but, of course, you can expand those daily limits if you’re willing to pay more in coverage. All insurance is definitely not created equal. The average cost of homeowners insurance will likely give you the least amount of coverage, and vice versa.You can compare homeowners insurance or use a homeowner insurance calculator to have better information when you decide. This value covers the house plus the value of your belongings after deducting depreciation (i.e., how much the items are currently worth, not how much you paid for them). This is the actual cash value without the deduction for depreciation, so you would be able to repair or rebuild your home up to the original value. The most comprehensive, this inflation buffer pays for whatever it costs to repair or build your home, even if it’s more than your policy limit ! Certain insurers offer extended replacement, meaning it offers more coverage than you purchased, but there is a ceiling, typically, it is 20 to 25% higher than the limit. How much does is the cost of homeowners insurance ? The homeowners insurance average cost yearly premium cost for U.s. homeowners insurance in 2008 (as of 2010, the latest year for which data is available) was $791, according the National association of insurance commissioners, but premiums vary widely and depend on multiple factors. First, of course, price will be determined by how much coverage you buy, a decision you can only make after evaluating the market value of your house, completing a household inventory, and deciding how much liability protection you want. Other variables that need to be considered include your zip code. If you live in a high crime area, for example, homeowners insurance rates will be higher. Homeowners insurance companies also take into account the size of your house, how close it is to a fire hydrant, the condition of your plumbing, heating and electrical systems, how many claims were filed against the home you’re seeking to insure, and even details like your credit score that reflect on how responsible a consumer, and, therefore, a homeowner, you are. No matter what initial price you’re quoted, you’ll want to do a little comparison shopping using a homeowners insurance calculator or searching for homeowners insurance online. And don’t forget there are many other ways to slash homeowner insurance rates, such as raising deductible levels, buying multiple policies from the same insurer, getting all available discounts (for security devices, such as burglar alarms, for example), checking for group coverage options through credit or trade unions, employers, or association memberships, and boosting your credit score. Homeowners insurance cost is important, but it is not the only or even the most important factor. When it comes to insurance, you want to make sure you are going with a provider that is legitimate and creditworthy. Before you sign on the dotted line, first contact your state’s insurance department to make sure the homeowner insurance companies are licensed, as all insurers are required to be. Second, check its financial strength by going to websites of the top credit agencies and searching their financials. Finally, consider asking relatives, friends and coworkers for referrals. It always makes sense to benefit from the experiences of others, so ask someone you know who has filed a claim about an insurer’s customer service representatives, the speed with which a claim was appraised, processed and paid, in addition to your friend’s general level of satisfaction with the insurer. As with all average homeowners insurance policies, they are under appreciated until they are needed, and then they quickly become a godsend. Getting yourself set up with a comprehensive homeowners policy can go a long way toward making your home truly a place of comfort and security.